The US Justice Department has opened a criminal investigation into the manipulation of popular cryptocurrencies like Bitcoin and Ethereum. It's believed that some traders are manipulating the price of cryptocurrencies through illegal tactics like issuing fake orders, causing the price to go up and down at will. Bloomberg first reported the investigation, which is being coordinated with the Commodity Futures Trading Commission. The price of Bitcoin, the most popular cryptocurrency, plummeted early this morning after Bloomberg first reported that the US government was opening an investigation. 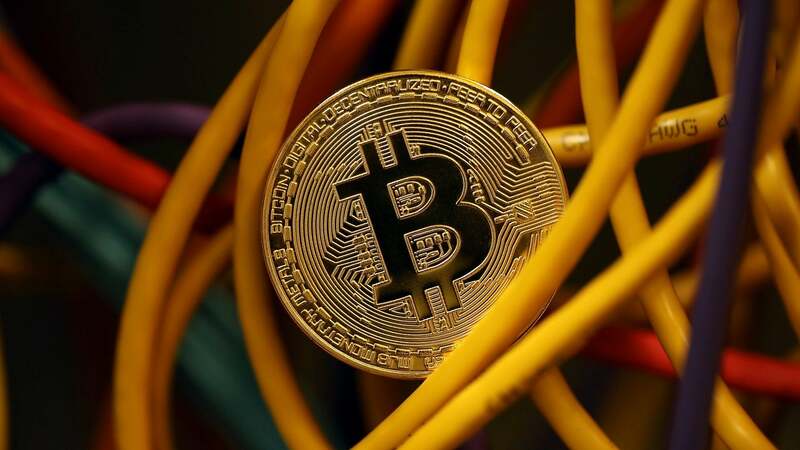 Bitcoin current sits at $US7,320 at the time of this writing, down 2.42 per cent on the day, and down roughly 20 per cent since May 4th when the cryptocurrency was at $US9,900. The illicit tactics that the Justice Department is looking into include spoofing and wash trading - forms of cheating that regulators have spent years trying to root out of futures and equities markets, the people said. In spoofing, a trader submits a spate of orders and then cancels them once prices move in a desired direction. Wash trades involve a cheater trading with herself to give a false impression of market demand that lures other to dive in too. Coins prosecutors are examining include Bitcoin and Ether, the people said. Bitcoin hit a record high of $US19,783.06 in December of 2017 after the cryptocurrency craze had been building throughout last year. Countless novice traders jumped into the market at the highest point and were disappointed when it did nothing but consistently fall after that. One of the problems with the flood of over-excited investors is that Bitcoin isn't regulated in any meaningful way. Some people lost thousands after the price plummeted, with tales of woe being posted on internet forums like Reddit. A few unlucky people even sold their homes to buy Bitcoin, a dumb investment for an imaginary currency that's essentially Monopoly money. Countries like China have placed heavy restrictions on cryptocurrency trading. The country recently shut down over 600 Bitcoin mining computers after a local energy company noticed a suspicious spike. Other countries, like Venezuela, have tried to cash in on the cryptocurrency boom by launching their own fake money on the blockchain. Big names in tech, including Bill Gates, have also been critical of the rise of cryptocurrency for its use in dangerous enterprises like drug dealing. "The main feature of crypto currencies is their anonymity. I don't think this is a good thing," Bill Gates said during a Reddit AMA session this past February. "The Governments ability to find money laundering and tax evasion and terrorist funding is a good thing," Gates continued. "Right now crypto currencies are used for buying fentanyl and other drugs so it is a rare technology that has caused deaths in a fairly direct way. I think the speculative wave around ICOs and crypto currencies is super risky for those who go long." Aside from being used for illicit drugs and being little more than a pyramid scheme, Bitcoin is also terrible for the environment. Rough estimates put the amount of energy that cryptocurrency mining will consume at 7.7 gigawatts of electricity by the end of this year. That's enough energy to power the entire country of Austria. Companies like Google have banned cryptocurrency advertising on their site because it's such a rich field for scammers. But only time will tell if the U.S. government can crack down on illegal manipulation of Bitcoin. The cryptocurrency seems like it's here to stay. Whether it will be worth anything years from now remains to be seen.